NOTE: This game has a native Windows version, which is available from the official website (see the links section below). Heroes is a free DOS game like Nibbles but with many enhancements. It can be played by one or two players. 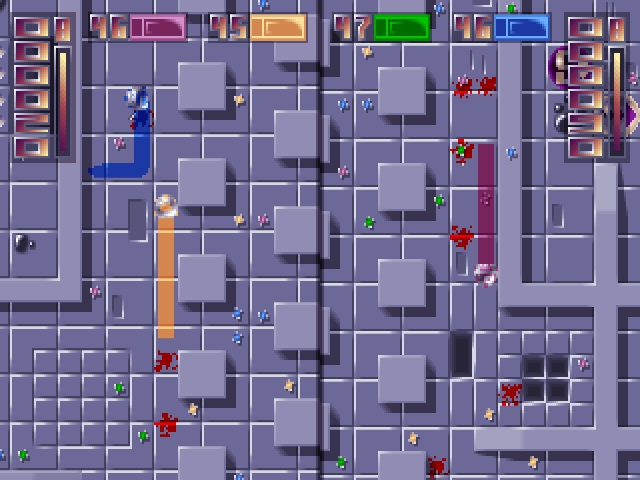 It features 12 original soundtracks, 94 levels (in 10 different tilesets) plus a level editor. 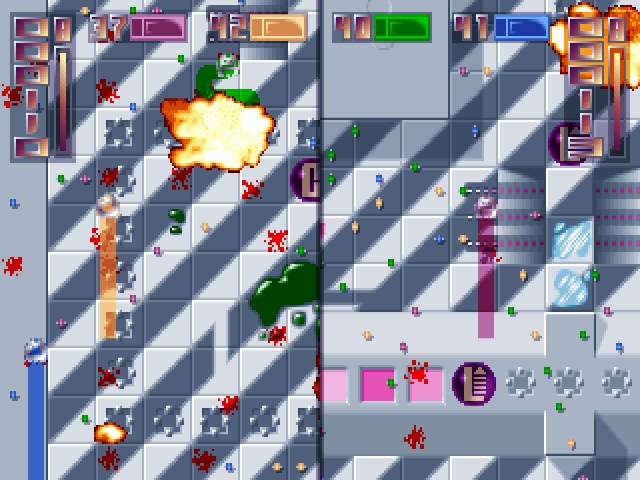 There are 5 game modes like Quest (the classical Nibbles) or Kill'em all (run over lemmings).